...over safety and legality issues. 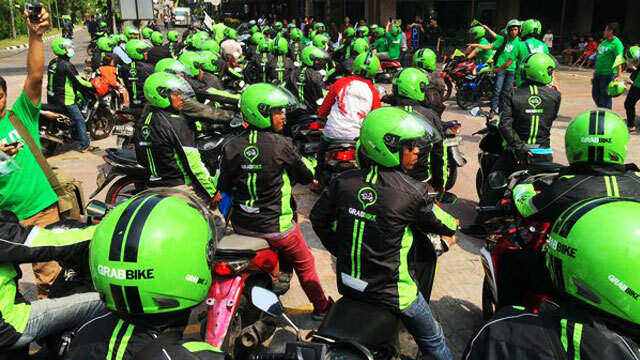 The Land Transportation Franchising and Regulatory Board (LTFRB) has ordered the suspension of MYTAXI.PH's motorcycle service arm GrabBike, citing safety and legality reasons. In a post on his Twitter account, LTFRB Chairman Atty. Winston Ginez shared a photo of the official letter sent to GrabCar Phils. Operations Head Gines Barot dated January 21, 2016. "Be reminded that aside from safety issues, bikes and motorcycles are neither authorized by the Board nor by the Department of Transportation and Communications (DOTC) to be offered to the public as mode of public transportation," it read. "Your company, MYTAXI.PH, is accredited by the Board to only offer the services of Transportation Network Vehicles using your digital platform technology pursuant to Department Order No. 2015-011," it added. The LTFRB also ordered the company to comply with its directive within five days upon receiving the letter. "You are further directed to explain and submit in writing why your company engages in a service that is not yet authorized by the Board," it read. "Non-compliance with these directives shall cause this Board to cancel the accreditation of MYTAXI.PH, Inc. as a Transportation Network Company," it added. Last November, the LTFRB called a meeting to discuss the issues concerning the relatively new GrabBike service. During the meeting, Ginez said that GrabBikes don't have permits to operate since these services were not part of the approved accreditation for GrabTaxi.